Here at BritMums we love good ads — ones that make us laugh, ones that make us cry. We’re not above spending leisure time watching our favourite advertisements on YouTube. 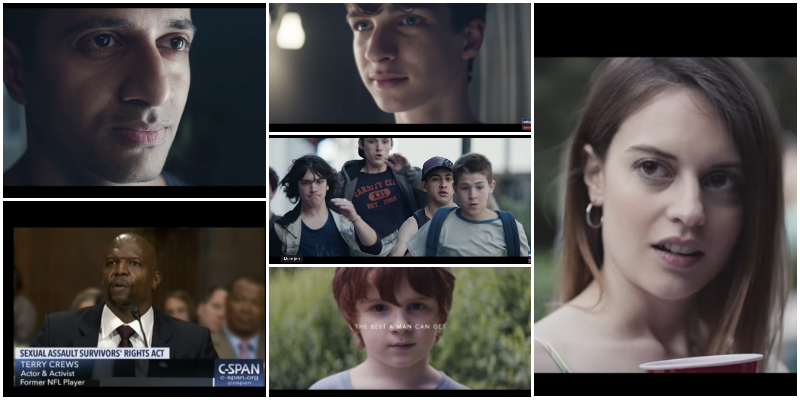 The latest one to hit our playlist is the new Gillette ad, entitled We Believe: The Best Men Can Be, about the role of men in these #MeToo times. Before you do anything, watch it. Right. All those good qualities like talking over women in the office, harrassing them on the street. All those wonderful childhood moments for boys when they gang up on other kids, use their fists or social media to make others feel terrible about themselves. It all has us stroking our chins at BritMums with the idea that somehow this ad — they’re calling it a short film — is against ‘masculine’ men because it advocates men stepping up to call out bullying and sexism and be role models. This certainly would have surprised our own dads, who even in the generation before ours would not have countenanced their children or their friends menacing other kids, catcalling women or using physical force whenever they got angry. We love that the ad shows men in a range of ages, a range of ethnicities, and is affirming caring masculinity. It references the #MeToo movement. It features the actor and former NFL player Terry Crews, himself an outspoken victim of sexual harassment and, you better believe, a masculine man. We love that ‘Gillette has partnered with the Building A Better Man project, which seeks to reduce violent behaviour in men, and The Boys and Girls Club of America, which helps young men develop better social and communication skills. It’s also donating $1m (around £778,000) a year for the next three years to US charities aimed at supporting men,’ as the BBC reports. That’s real positive action. This isn’t merely about preferring a certain type of toy. It’s an opportunity to show our children what a real man is. One who loves and protects. One who provides and shares. One who respects himself and others. One who is strong and caring. ‘Because the boys of today will be the men of tomorrow’, as the Gillette ad says. That’s a great message to promote, no matter how you slice it. 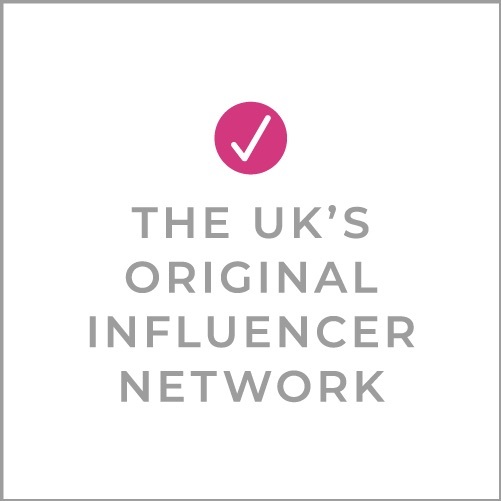 Want to write or vlog, for BritMums? I’ve watched this ad a few times and each time it makes me a bit emotional. Yes these are actors and this is messaging from a huge company, but we should celebrate the moments with corporations address big issues and take a stand. It’s refreshing to see a brand aimed at men that isn’t just doing the same old messaging simply because it is the same old messaging and they want to play it safe. Time to pick up a new Mach 3? Of course, it’s easy to be cynical and view this as commercially-driven virtue-signalling. That may or may not be the case here. But what this definitely does is to promote conversation, which is a good thing. As a man, I don’t feel threatened. The underlying message is simple enough – “let’s be good people” – and it makes you wonder why people are getting so upset about it. It’s not preachy and I certainly don’t see it as it making a sweeping generalisation about all men. I think I’m a good person; I could be better. What of it? Brands can’t win, can they? If they don’t promote social messaging, some people will accuse them of not using their platform to influence consumers to serve a greater good. If they do promote a social message, they are told by others to mind their own business. Let Piers Morgan spout off in his Fortress of Self-Publicising Outrage. His reaction – and that of others who have condemned the campaign – says more about them and their insecurities than it does about anyone else. They certainly don’t speak for me. Well done, Gillette. Well said Tim. Your last paragraph in particular says it all. The reaction of people who condemn the campaign speaks more about their insecurities. I think it’s a conversation that needs to happen. Good for P&G for leading it! They surely knew it would controversial. I saw this morning’s debate on Good Morning Britain before I had seen the Gillette advert, and the way Piers Morgan was talking about the advert and his strong opinions about how it portrays men, complete with the video clips from the advert, made me think that ‘I’m not going to like this’. I am married to a masculine man and am raising a son, a sensitive boy who is quirky and kind and gentle – qualities I don’t want him to lose or feel he has to hide as he grows. My husband is a builder and ex rugby player and has the stocky muscly appearance of someone you probably would not want to walk behind you on a dark street as a woman, however he would never harm another person except in self defence, and would never dream of talking down to, belittling, objectifying or otherwise treating a woman as anything other than an equal human being. When I went to YouTube and watched the advert – I didn’t like it at the start, the men objectifying women and the aggressive tone of the first 40 seconds of the advert. But then the advert changed mood, and showed us the future. The way I hope that men will relate to other men and women in the future and the way that many men these days actually do. That there is nothing wrong with being gentle, and that it’s ‘not cool’ to catcall women. I don’t think that all men are like the men portrayed in the first 40 seconds of the ad. Some are, and thankfully they are being challenged by the altering mood of society in the wake of #MeToo and #TimesUp. But it is important I think to acknowledge that this is the way society has been in the last 30 plus years, and that times are changing. By Gillette documenting these old stereotypes and showing us how far we have all come, I want my teenage daughter to see it and know that she is growing up in the company of caring, progressive men and not have to put up with the kind of intimidation that my generation and women before me have had to endure. Well done Gillette on this advert. The fact that is has us all talking proves that this is a discussion that needs to be had. I think it’s a great advert. What dad doesn’t want their sons to grow up to respect women? That’s the overriding message I took from the advert. That we men have a responsibility to raise our own future men to be respectful and treat everyone as equal and that we should also take a stand against our peers continuing these outdated views and actions towards women.